I've been making an effort to make things for the enjoyment of it, rather than necessity. 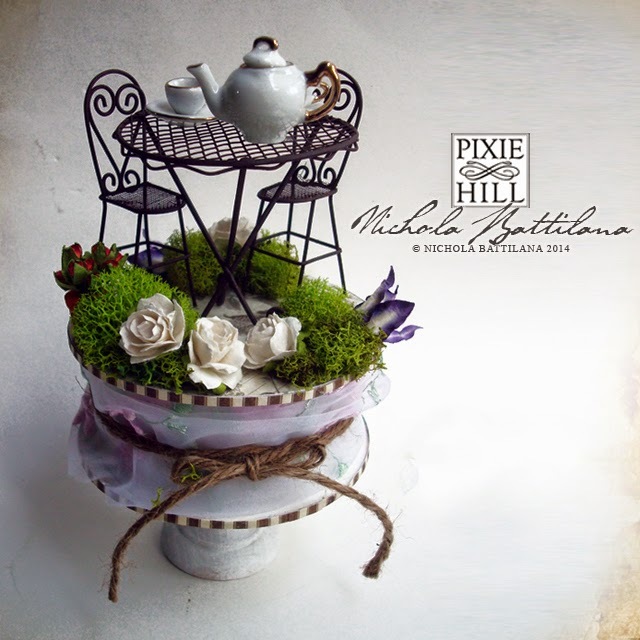 What could possibly be more enjoyable than a fairy garden tea party? 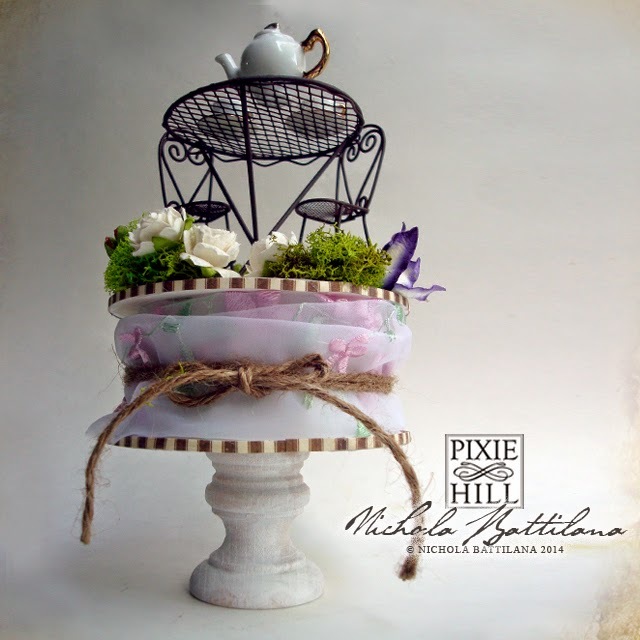 This piece is really quite sweet :) Those cute as a button Miniature Table & Chairs come from Alpha Stamps, as do the Paper Flowers. I've used Botanical Tea to embellish my wooden spool, which was then wrapped some pretty embroidered organza and finished off with a bit of jute twine. 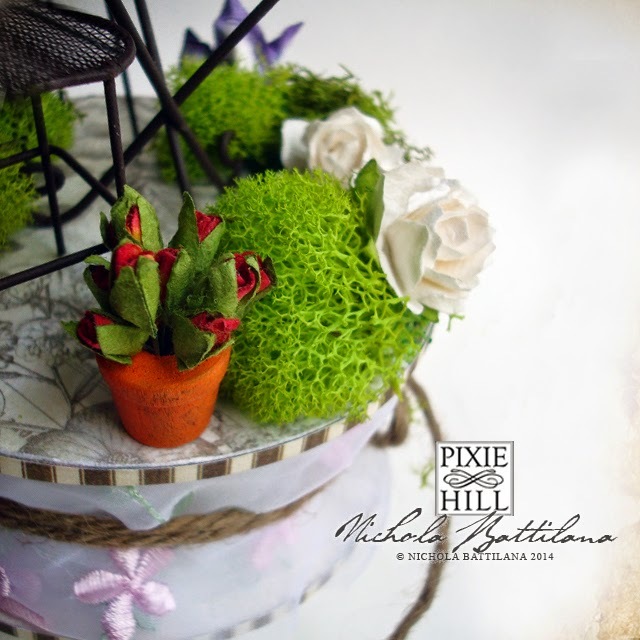 A Candlestick Holder puts the whole scene on a little pedestal. 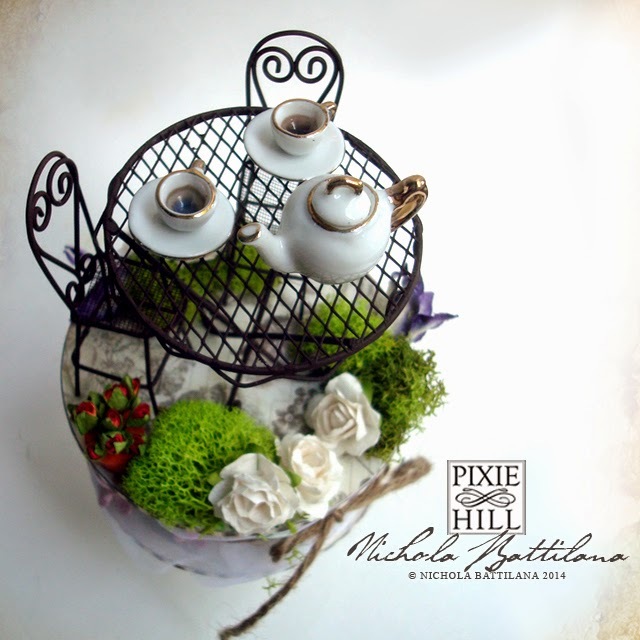 Knowing that fairies are particularly fond of elevenses and a hot afternoon cuppa, I think they would approve.